Baikal Lake is a lake of superlatives. It is the deepest in the world and seventh in size. Only surpassed by volume of water by the Caspian Sea. If the water is distributed evenly over the planet, this would be covered by 20 cm of water. With more than 25 million years, Lake Baikal is the oldest lakes and as the plants and animals of other lakes only very rarely reach Lake Baikal, have developed here many species that exist nowhere else in the world. Scientists call these endemic species. These include the Baikal seal, fish omul, Baikal sturgeon and oily fish golomjanka and a tiny copy of 1 or 2 mm in length: the crab epishura. 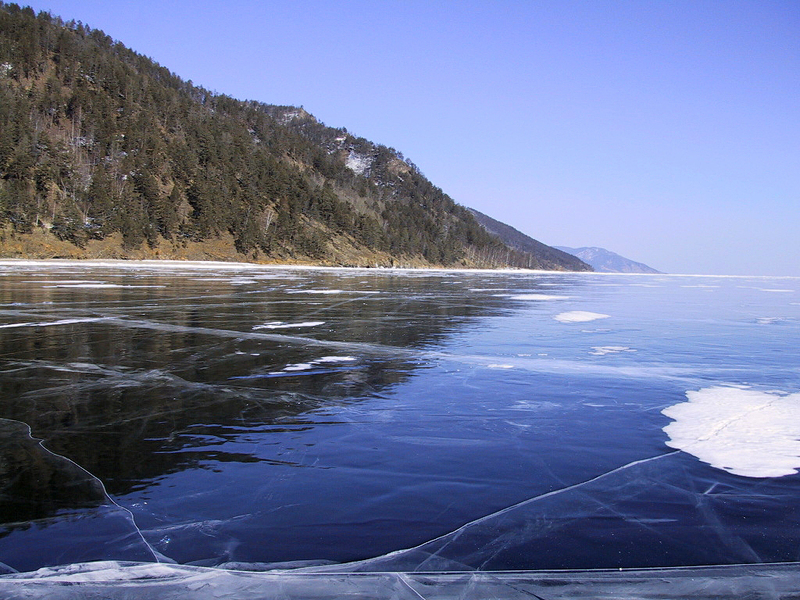 Lake Baikal is also known for the purity of its waters. If submerged in water a white disk attached to a string, it is visible even at 30-40 meters depth. There are several reasons for this: its waters have little content in minerals and have a high content of oxygen, even at great depths. In addition, he epishuras live crabs, which filter the water. It is a herculean task, because it must devour huge quantities of microscopic algae, which annually generate an average mass of 21 tons per hectare. This rises to 6 tons the highest yields of grasslands of our farmers. It is not surprising, therefore, that the crabs are in proportions epishura barely imaginable: up to 3 million square meter of lake surface. Like all seals, also Baikal seal is prized for conscious people in the defense of nature. Mass killings as occurred in 1987 triggered waves of compassion and hunting of these animals is widely rejected in the Western world. However, without the income from the seal hunt for many people would end one of the foundations of its economy. What to do? Regular counts should be made as before. Furthermore, it is trying to convince the hunters to respect the young seals and prevent poaching. 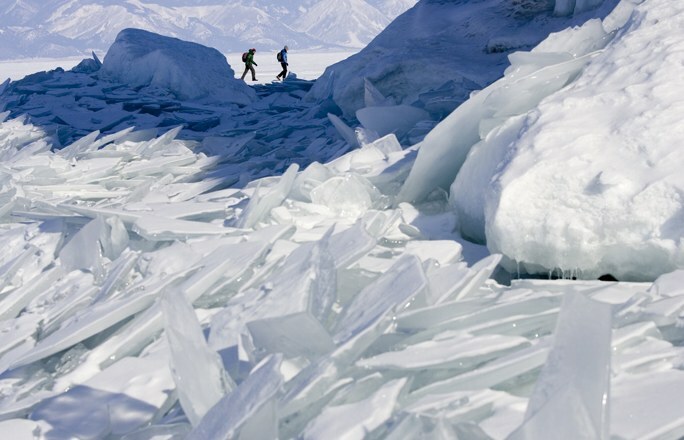 The territory around Lake Baikal is inhabited by humans for thousands of years without this problem has occurred. They only came in early twentieth century, when the territory was crossed by the Trans-Siberian Railway. Forests were felled and small settlements became industrial cities. However, the first decisive step towards Lake Baikal was the construction of a dam at the outlet of Lake Baikal Angara River, which the lake level rose one meter. This happened in the 50s. Since then, traffic along the river is considerably hampered for aquatic animals. Until 1976, the sewage of the Baikal pulp mill is discharged directly into the lake without debugging, which is caused mass mortality of crabs epishura and other endemic species. Because of the factory contaminants dispersed in the air, there was damage in the taiga forest trees. To satisfy the insatiable need wood pulp mill, the Russians cut down huge forests. Felled trees were transported across rivers and along the lake to the factory. This will destroy many funds omul fish spawning and estimates that between 1958 and 1968 went down 1.5 million cubic meters of timber in the lake, which is now rotting. Also there were many sources of pollution in the north of Lake Baikal after the construction of the railway between Amur and Baikal. The capital of the region of Burjatija, Ulan-Ude, is one of the main sources of pollution of Lake Baikal. Much of the sewage of the city and its factories flow through Senga River to Lake Baikal, where contamination reaches the middle of the lake and extends up to 150 miles along its shore. « The Ermitage Winter Palace in Russia.